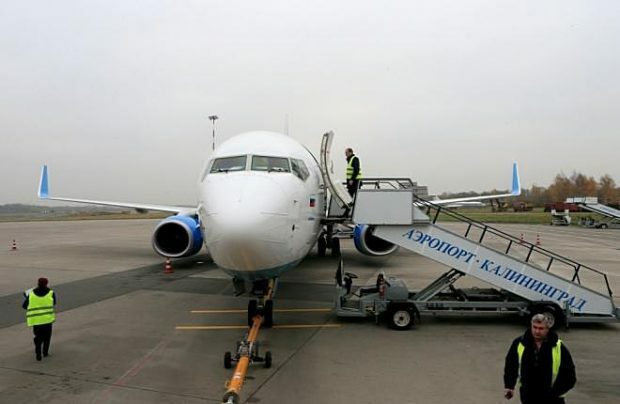 Khrabrovo Airport, which serves Kaliningrad, has reached an agreement with Aeroflot’s low-cost subsidiary Pobeda Airlines to set up hub operations through the Russian enclave. Khrabrovo’s general director Alexander Korytny explained in an interview to Interfax newswire that this agreement covers connecting flights from Moscow’s Vnukovo airport to three major European capitals of Paris, Rome, London as well as Geneva, with connection time in Kaliningrad not exceeding 60 minutes. At a later stage, Pobeda may add other departure airports across Russia to the transit scheme. One of the main attractions in the deal for Pobeda is that it brings better access to European destinations, since acquiring approvals for flights from Kaliningrad is much easier than from Moscow. Another valuable asset to the scheme, a state subsidy, is being offered for flights linking the Russian enclave with Moscow. Flights to Kaliningrad from other cities in Russia are already exempt from VAT. Pobeda resumed flights to Kaliningrad in March of this year, following a two-year suspension due to a “route network optimisation”. Notably, this is not the first attempt at developing Kaliningrad’s transit potential. The first was made by Kaliningrad-based KD-Avia, which managed to build and successfully operate a hub at its base airport from 2007 to 2009. But, hit by the global economic crisis of 2008, the airline built up a debt of almost 12 billion rubles and was forced out of the market. In August 2009, before it was declared insolvent, the airline had operated daily flights to 22 destinations from Khrabrovo. A pending issue, which may raise Khrabrovo’s transit potential to a new level, including for international airlines, is the enclave’s favourable open skies regime, which has been periodically offered in Kaliningrad at different periods since 2014, the most recent of which expired at the end of last year. In April this year, Anton Alikhanov, the governor of Kaliningrad region, told the TASS newswire, that the decision on extending the open skies regime should be made before the summer. “It will be prolonged at any rate. The position of the Ministry of Transport is that it should be here,” the governor assured. A temporary solution was found for the period of the 2018 FIFA World Cup in Russia, but the final decision is still pending, the airport’s authorities told Russian Aviation Insider.